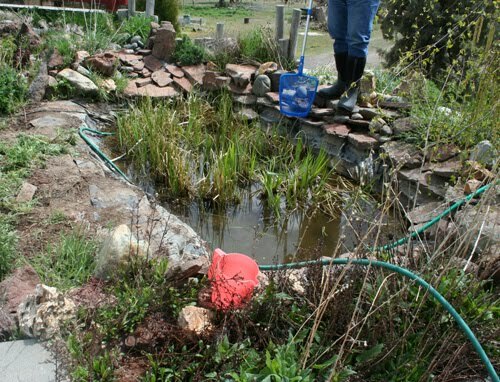 Last weekend I got a wild hair and decided to re-do the pond and stream we have outside our house. It's been leaking for a while now so I knew there was a hole in the liner somewhere. Dave humored me and helped but little did I know it would take two full days! The worst part was catching all 26 of the fish and they weren't happy about being cooped up in a 5-gallon bucket. 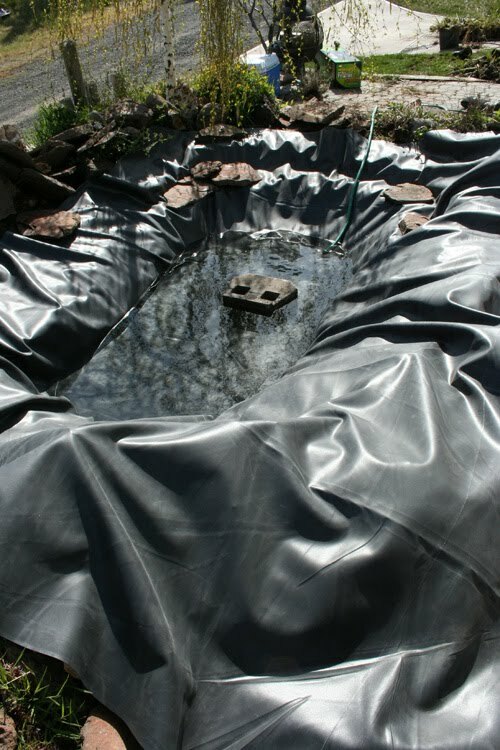 This is what the pond looked like as we were getting started. 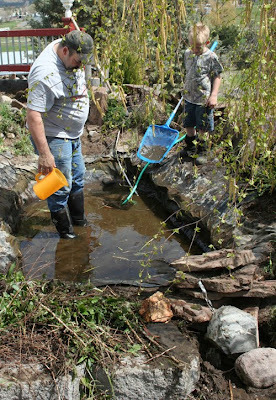 The pond plants were quite overgrown and eventually had to be pulled out in one big mass with the 4-wheeler. There was also so much muck that the siphon hose kept getting plugged. ...Finally, a picture of the finished pond. 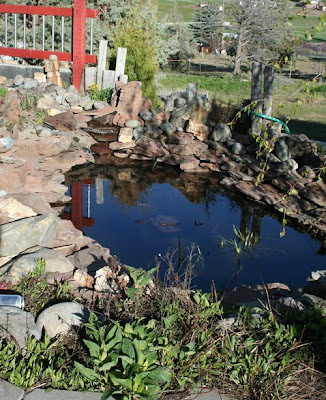 It has a 15 foot stream that dumps into the pond with a little waterfall. It looks so much better and I'm hoping I don't have to do that again for another 7 years! It's always so beautiful in the summer when the plants and flowers are in bloom. My little piece of serenity. 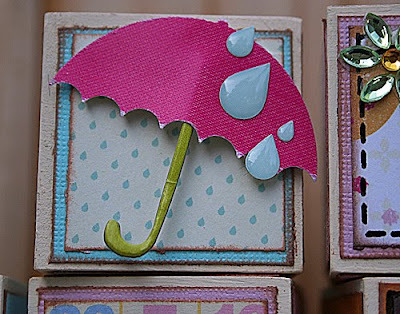 For my design team projects this month I got the pleasure of working with the April "Butterfly Skies" kit from Citrus Tree Studio. This kit is beautiful. And pink. Thanks Cindy (smooch)! Here are my projects for the month. The first one is a layout of my niece. I made a mask and used the Smooch Spritz to create the leaves. It turned out really fun! 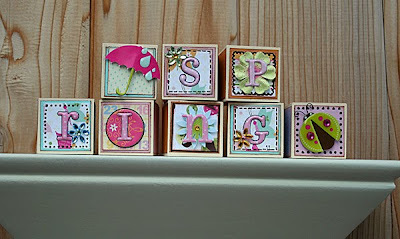 For my next project I altered some little wooden blocks. 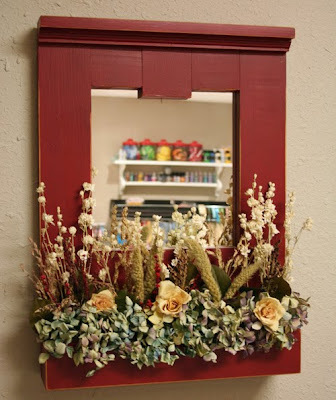 I base-coated them with cream colored acrylic paint and then used the kit to create a fun little Spring decoration for my shelf. ...and finally, another layout. 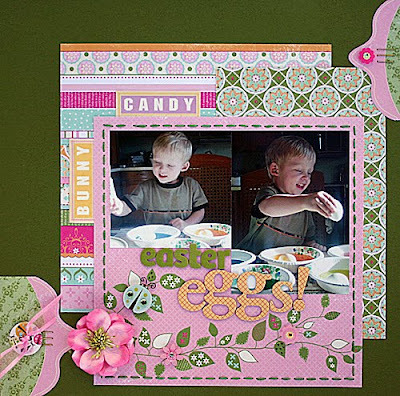 Since the kit reminded me so much of Easter, I grabbed some pictures of Gabe coloring eggs a few years ago and created a fun little Easter layout. 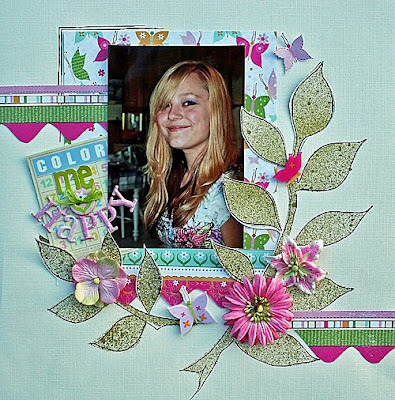 If you haven't had a chance to check out Citrus Tree Studio yet, you should because Cindy is offering two kits for the month of August. 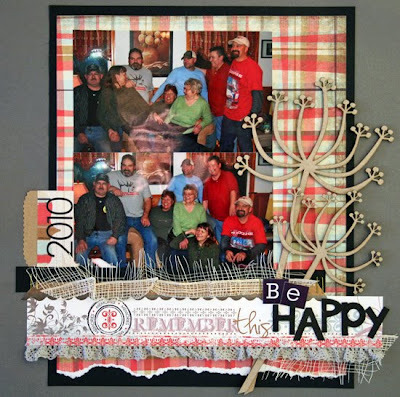 The second kit is called "Painted Praire" and is equally beautiful...you can find it here. Thanks for stopping by! Look at this cool egg, fun huh? Gabe and his little friend Sydney colored eggs and decorated sugar cookies together on Friday night. 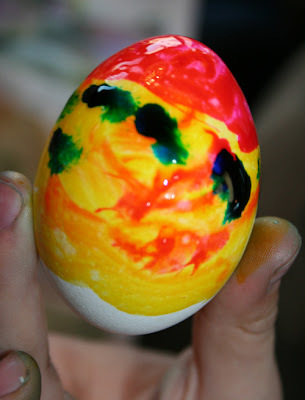 They had a combination of the regular egg dye and some you paint on with a sponge. I loved how the sponged eggs looked when the kids were done with them...much better than the rubber bands and crayons Jason and I used growing up! I think my baby is growing up. I was getting ready for our Easter dinner and I overheard Gabe ask Dave..."Dad, tell me the truth. WHO IS the Easter Bunny?" All I could do was quietly laugh and wait for Dave's response. Thank goodness he's on his toes because he told him, "I don't know but he's big, white, and fluffy". First it will be the Easter Bunny, then no Santa Claus and before we know it...he'll be a teenager. Why do they have to grow up? 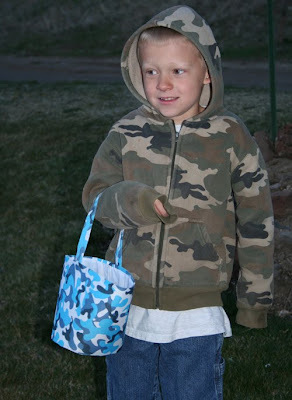 The Easter bunny was up early again this year and as you can tell from the pictures, Gabe was too. We were out tromping through the yard at o'dark-thirty, freezing our butts off, all in the name of fun. 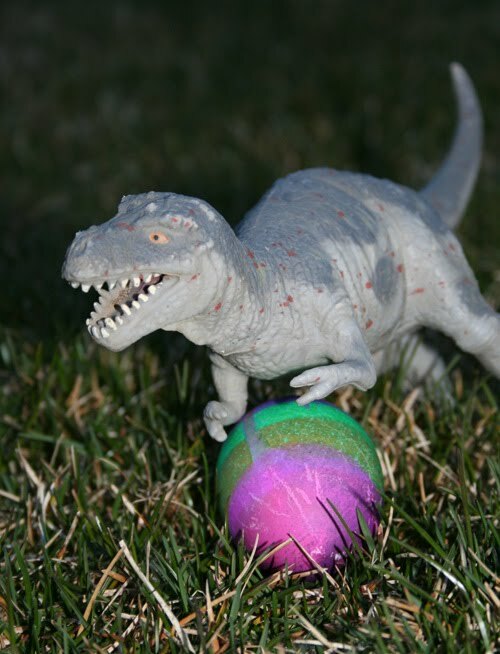 Look where the Easter bunny hid one of the eggs. Priceless.